If you mention the word “piracy” to someone, chances are images of Johnny Depp’s character Capt. Jack Sparrow might come to mind. That’s a fair assumption given the successful film franchise that Disney’s Pirates of the Caribbean has produced for nearly a decade, but the sobering facts are that savagery on the high seas is very real and becoming a costly circumstance that deserves more attention. The waters around the Horn of Africa are growing more dangerous, with pirates from Somalia continuing attacks on commercial ships. In 2011, Somali pirates attacked 439 vessels, fired on 113 of them, hijacked 45 and took 802 hostages (and are currently holding 200 people captive in Somalia). 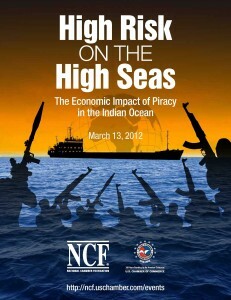 These attacks contribute to the $7 billion-$12 billion that maritime piracy costs the international economy each year. Though various international warships patrol the trade lanes around Somalia, the challenge is steep as to the capacity to imprison or otherwise “dispatch” captured pirates. Each year, 21,000 commercial ships pass through international shipping lanes near Somali waters. These ships carry more than 10 percent of the global oil supply and 7 percent of the world’s maritime commerce. It is perhaps not surprising then that, as the International Maritime Bureau (IMB) reported, Somali pirate attacks are concentrated at the intersection of the Arabian Sea and Gulf of Aden, where thousands of ships pass on their way to markets in Asia and Europe. While most of the world thinks of Somalia as an arid, famine-riddled, ungoverned landscape, the country’s 1,800 mile-long coastline gives pirates multiple access points to valuable waterways. With the country’s weak (if not absent) central government, piracy can easily flourish in this region. After all, crimes at sea originate on land. Despite the collapse of the Somali state government in 1991 and more than a dozen attempts at establishing a central government over the last two decades, there has been no true authority or lasting rule of law in the country. 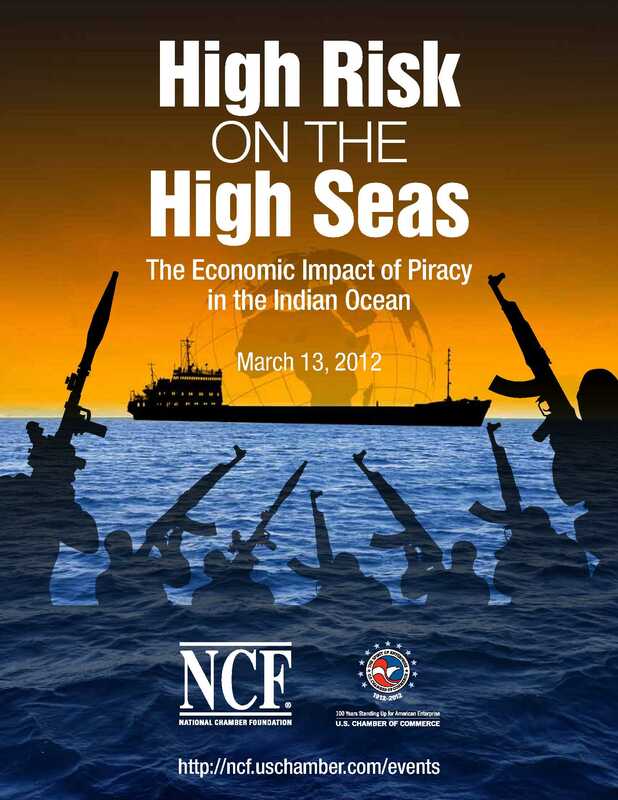 Given the lawlessness in Somalia and access to busy shipping lanes, piracy is not only possible but highly profitable. While Somali pirates lack the land infrastructure to unload and fence plundered cargo, they receive ever-greater ransoms for the lives of their hostages – $135 million in 2011 alone. This only encourages more and bolder attacks, up to 1,000 nautical miles from land, helped in part by pirate “mother ships” – captured ships converted into floating bases that allow pirates to attack ever farther from land. To counter these ongoing assaults, the U.S. Navy is sending its own mother ship to the region – the aging warship the USS Ponce, which has been converted into an amphibious assault ship to serve as a base from which U.S. Special Operations Forces can launch high-speed boats and helicopters. U.S. forces have found some victory in the region, with Navy SEAL snipers rescuing an American cargo ship captain in 2009 and, more recently, the rescue of an American and a Dane held hostage on the Somali mainland. There have, however, been failures. In February 2011, the U.S. Navy attempted to intercept a hijacked yacht with four Americans held hostage, but they were unsuccessful – the pirates killed all four Americans. To be sure, naval action has had an impact. While the total number of Somali pirate incidents was higher in 2011 than in 2010, the number of successful hijackings fell dramatically, from 49 to 28. IMB reported pre-emptive strikes disrupted at least 20 pirate groups before they could attack commercial ships. Yet, the multitude of international naval forces patrolling the waters around the Horn of Africa is also pushing pirates into waters where there are fewer or no patrols, expanding the areas where they can potentially launch attacks. Despite the naval presence, military action alone seems insufficient to stem the growing threat. This is in part because about 60 percent of pirates captured are released. This “catch and release” is the product of few countries being willing or able to accept captured pirates for criminal trial. Overall, there simply is not enough space nor enough nations ready to address the pirate challenge through established court systems. Furthermore, Somalia does not have the judicial infrastructure or the prison capacity to take in all captured pirates. Already about half of imprisoned pirates are held in jails in Somaliland and Putland regions with little extra room for new convicts. While some western nations – like the United States, Canada and the UK – have put pirates through their court systems, overall, western governments have been reticent to do so. Kenya has taken in about 200 captive pirates, and the Indian Ocean island nation of the Seychelles is also prosecuting and imprisoning some Somali pirates. Given the military force in the region, however, one wonders why navies cannot simply use their massive firepower to blow all pirate ships from the water – certain demise in the face of international naval strength could be a strong deterrent; however, it is not that simple. Rules of engagement dictate that if the act of piracy is not witnessed or if U.S. forces have not been fired upon, they do not have the legal authority under international law to use deadly force. Indeed, as well as the challenge of finding prisons to hold captured pirates, countries worldwide are faced with the legal quandary of how to address piracy in the 21st century. It seems evident the best methods for dealing with it have not been finally determined. Somali pirates present a real danger to lives and commerce, and the world’s inability to stamp out the maritime threats gives potential rise to greater regional challenges. The al Qaeda-affiliate al Shabaab in Somalia has caused death and suffering throughout its country, conducting acts of terrorism and preventing international aid from reaching those in need. At the same time, the United States and its allies are working to disrupt and bring an end to Al Qaeda in the Arabian Peninsula, a union of Saudi and Yemeni al Qaeda groups operating in Yemen and presenting what Homeland Security Secretary Janet Napolitano called the greatest threat to U.S. security. Independently, these terrorist groups present grave threats, but if they were to unite and coordinate to disrupt maritime movement in the region, the challenge of piracy could grow bigger still. This, coupled with the $7 billion-$12 billion annual maritime piracy costs and the threat to human life, reveals just how troubling and disruptive Somali piracy has become. To attend the program and get more details, please register with NCF to secure your seat for this important discussion. If there is one thing we all need to remember, an incident more than half a world away can have real consequences to commerce and the bottom line. 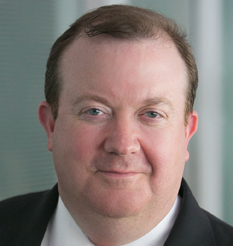 This piece was originally posted on the National Chamber Foundation blog. Do We Have Options In Egypt?